"Weather conditions were difficult this year although not throughout the country." 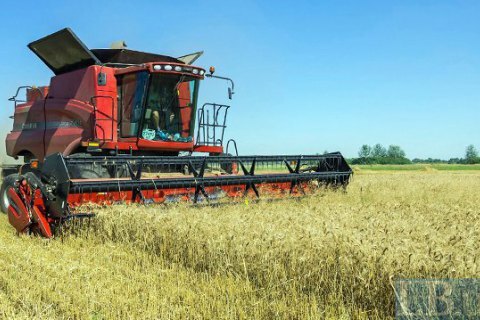 The harvest of early grain crops in 2017 is the second best in the history of independent Ukraine, Deputy Minister of Agrarian Policy Maksym Martynyuk said at a cabinet meeting on 20 September. "The harvest of early grain crops is completed. This year, weather conditions were difficult, but uneven across the country. Accordingly, in some regions the figures of harvest were lower than in the previous year, while in other regions the harvest was record-high," the deputy minister said. "The harvest of early grain was the second best in the history of Ukraine's independence after the record harvest last year," he added. According to the ministry, as of 15 September the agricultural companies of Ukraine have harvested 38.2m tonnes of grain and leguminous crops from the area of 9.9m hectares. Martynнuk told a briefing on 19 September that Ukraine is expected to harvest 61m-63m tonnes of grain this year.